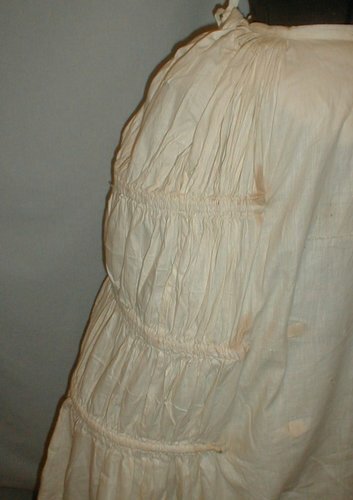 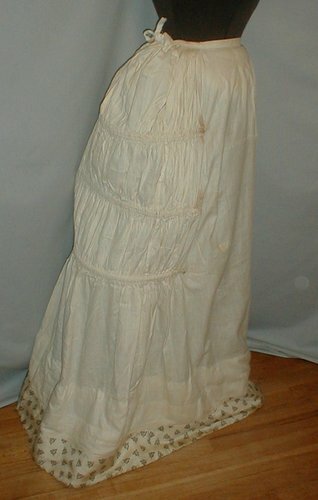 A magnificent 1870-1880 cotton bustled petticoat that has recently been de-accessioned from a museum collection. 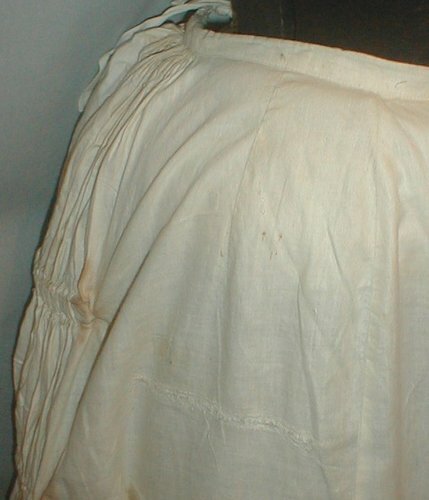 The back of the petticoat has three inserted hoops. 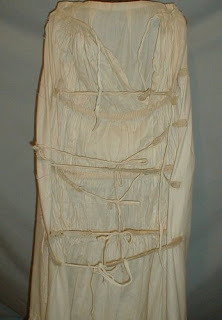 There are ties on the inside for adjusting the bustle effect. (See last photos.) 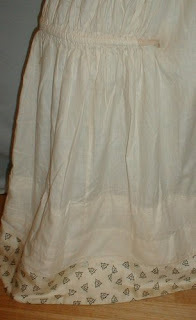 The hemline is trimmed with black and white printed challi8s fabric. 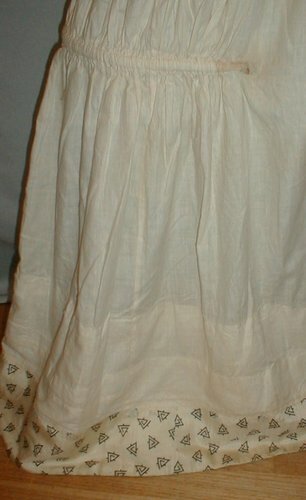 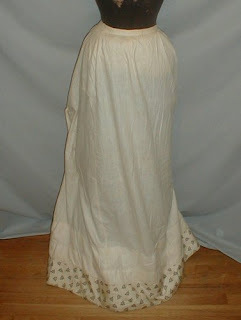 The bustle petticoat is in very good condition. 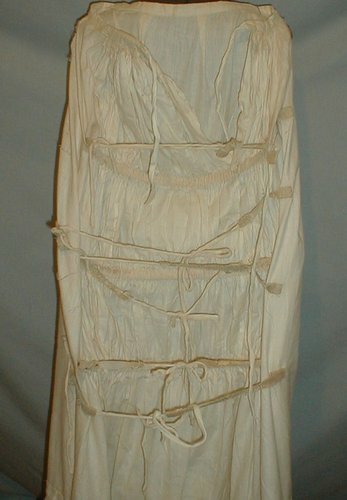 There is some scattered age discoloration, a couple of the inside ties are pinned in place and will need minor re-stitching. There is a 6 inch period mend on the front near the hip area. 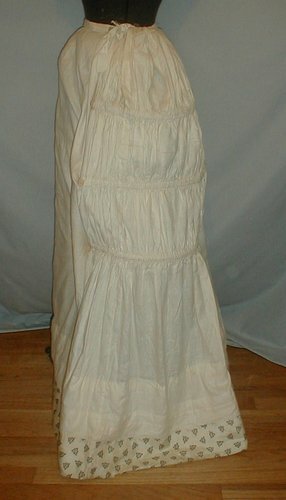 Waist 24 Length 42.